Founded in the seventies by Remo Ruggeri, this farm - changing to biologic - is a solid estate in the Sabina Romana. 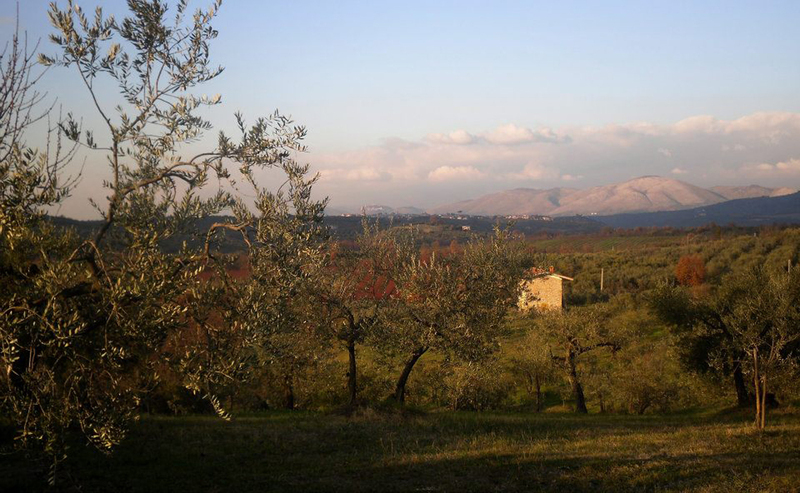 It's on the side of the reserve of monti Lucretili park with a surface of 18 hectares, entirely cultivated. In the 8 hectares of specialized olive surface, there are about 1600 plants of local varieties which allow to yield the extra virgin oil "Colle del Sole" SABINA DOP. Moreover there are 5 hectares of vineyard with a variety of local vines, orchards (made of old varieties) horticultural and seminatives.